Oakland County health officials say there are now 18 confirmed cases of the measles. 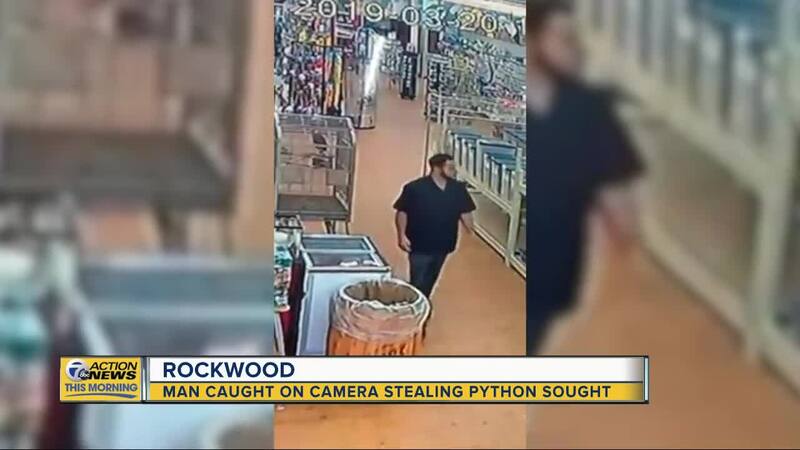 ROCKWOOD, Mich. (WXYZ) — Police are looking for a man caught on camera stuffing a 4-foot snake down his pants at a pet store in Rockwood on Wednesday, March 20. Surveillance video at the I Love My Pets store shows the man reaching into the python's cage before putting it in his pants and casually walking away. Store employees say the python had just been adopted and was getting ready to go to its new home on the same day it was stolen. "The last thing we were expecting was to check the video and take a closer look and see a man putting it down the front of his pants, we were not expecting that at all," said employee Callie McElroy. "We couldn't fathom the way someone could sneak a snake that big out of a store like that." Anyone with information is asked to contact the Rockwood Police Department.